The night before brush the steaks on both sides with oil and season liberally with salt and Steak Rub. Put back in Refrigerator in covered container. 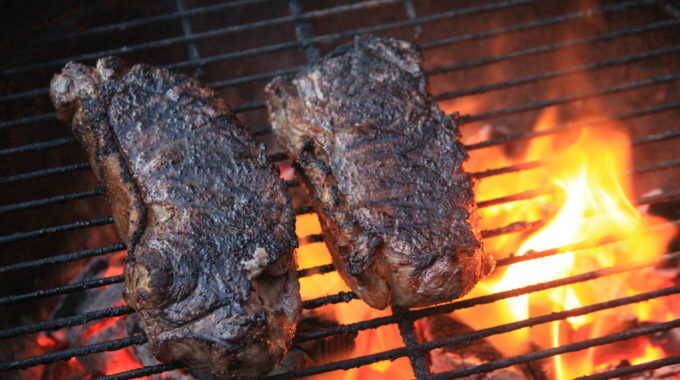 About 30 minutes before grilling, remove the steaks from the refrigerator and let sit covered. Transfer the steaks to a cutting board or platter, let rest 5 minutes before slicing.